All of the gates we commission for fabrication are custom built specifically for gate openers with special attention to structural integrity, able to withstand the repetitive strain automation equipment may place on them throughout their years of service. telescopic, bi-fold and sectional gates and doors. Our chosen manufacturers are highly skilled trades people, reliably professional and take great pride in their attention to detail from the final measure, through installation to hand over. Automatic gates are basically machines, from the posts that hold them up to the devices that make them move back and forth, with that in mind, it is easy to understand the importance of using the right equipment in every aspect of construction, mechanics and usability. 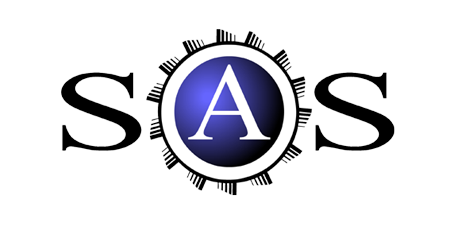 At SAS Autogate, we will provide permanent solutions, with over 20 years industry experience we know what is available and what works to achieve the optimum outcome for our clients, sometimes, challenging requirements, we work closely with Architects, construction companies and individuals from early planning, DA stages, right through to installation, handover and equipment training. 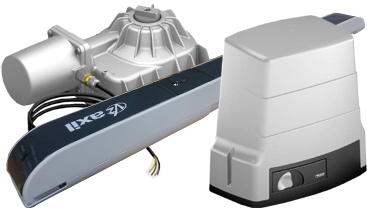 We stock, supply and install a large range of high quality, Italian designed and manufactured electric gate automation equipment to suit most applications. Domestic, commercial and industrial motors for sliding gates and swing gates. It’s important to choose the right equipment. With over 20 years industry experience we can discuss and recommend, the appropriate product for your particular requirements. We can also offer on-going support, service and maintenance to keep your system running for many years, well into the future. Using the right hardware is also one of the most important aspects of a long lasting, reliable automatic gate, regardless of what equipment you use to operate it. 90% of premature failure can be put down to poor installation and inappropriate fittings. 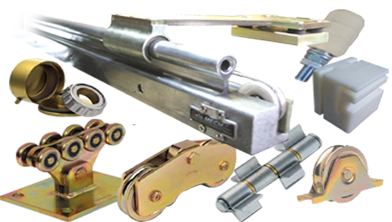 A lot of specialty hardware, specifically for automated gates have been developed over many years to address challenging situations such as space restrictions. 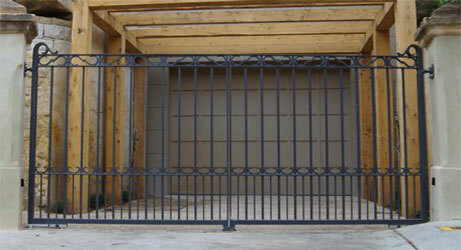 Telescopic gates, Bi-fold gates and Cantilevered gates are no problem with the right gear. the tele-Mech ® dual sliding gate system. capabilities of modern electronic gates, operate your gates from a simple push button, remote control, intercom, PIN key pad or even your mobile phone from overseas. Accessibility can be managed with safety and convenience. Gate control units, safety devices, audio intercoms, video intercoms and access control equipment. copyright 2018 © – S.A.S. Autogate and Sydney Automation Services – all rights reserved, it is a violation of intellectual property law to copy, duplicate, project or distribute by electronic or other means, any or part of any images, text or active content from within this registered domain. “tele-Mech”® is a registered trade mark under building automation installations being goods in class 9.